One of the reasons I left consulting was the review process. Don’t get me wrong, the actual process is very good; far better than you’ll often find in industry. Looking back, some of my meetings with my DGL were some of the most enlightening of my career. People dedicated a lot of time articulating where they thought your strengths and weaknesses lay. However, the inputs into the review were fundamentally subjective – how others thought you were performing. This made them open to both bias and gaming. Consulting reviews are thorough. Expectations of your performance are clearly laid out in advance. A “case” is then collated based on your projects over the review period (normally 6 months). 360 degree detailed feedback is collected from anywhere between 6 and 15 people you’ve worked with (the more senior, the more data points), which provides a holistic and evidence-based review of your performance. This is then compared with your peers, and you are ranked in order. This list of ranked consultants is then split into performance bandings (read bonus levels). Despite the detailed nature of the review, the inputs going into any review are highly subjective. Early on in my consulting days, a senior associate I was working with parted his wisdom on how to ensure you were ranked at the top. His rather simple formula was to tell your team your development needs at the beginning of any project. However, instead of explaining genuine weaknesses, you list your strengths; areas you know you’re going to perform well at. So if you’re strong analytically, say I need to work on my analytics. If they’re focused on one of your strengths as a development need, of course, they’re going to be impressed with your performance. And, in all likelihood, gloss over your real development needs/weaknesses. Now, the last thing I’d suggest is that everyone starts gaming the system. If anything you’re just short-changing yourself, as these processes really are designed to help you develop. I merely highlight it to show that the process is subjective. Instead, below I want to list some very practical guidelines you can follow to make sure you’re getting the most from the process. The most important part of the review system is that you improve. Listen to what others say about you, and focus on how to improve. Here is a list of practical steps, to make sure people give you this feedback at the right time. The rest is up to you! This doesn’t have to be formally going through each box, but it’s well worth explaining where you are performing well, and what you need to focus on. This will also ensure you get the chance to evidence anything for your review. Just book the meeting in! This is a chance to be open and ask how you are performing against the framework. This is also their chance to tell you if there’s something you need to improve. It’s a bit like saying ‘speak now or forever hold your peace’. Take on board any feedback, and be sure to focus on evidencing anything they highlight as potential weaknesses in the project. Do your reviewers’ job for them. Before your review, write up how you think you’ve performed, with clear examples against each point. Put your best foot forward whilst keeping a human and humble approach. Build a personal rapport with your reviewer. Ask to go for a drink or coffee with them, and get to know them better. It’s also worth asking what they expect of top performers. Ask for examples of what’s really impressed then. You need to know what they are impressed by – don’t forget, the whole process is subjective!. Every reviewing committee has them; people who will bang their fist and change the minds of others. Who’s on your reviewing committee, and who do you get along with? Broaden your network beyond just your reviewer. Make sure you get a project with at least a couple of them. And when you do, explain to your team how exposure is important on this project. Let them help you. 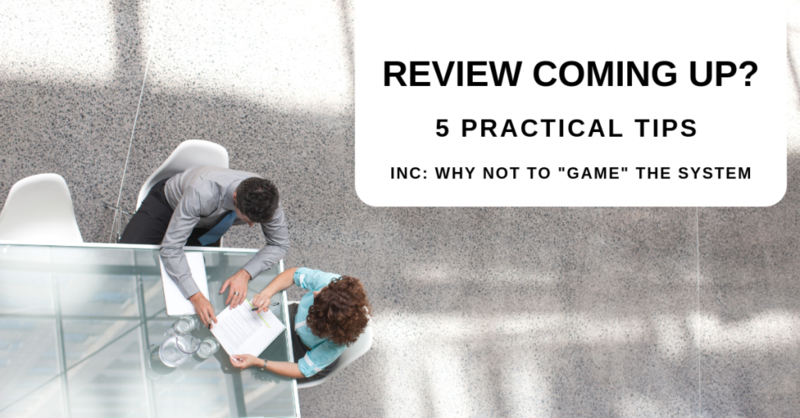 The above are a few pointers on how to get the most from the consulting review process. But, being completely honest, this was the area I disliked most about consulting. I would have preferred a market, or numbers, to judge if I was doing well, as opposed to having to rely on how others thought I was performing. And there’s probably no better place for this kind of objective review than the world of start-ups. From pre-seed to venture-backed, startups are driven by numbers and provide a great deal of data and metrics to ascertain if things are going well.